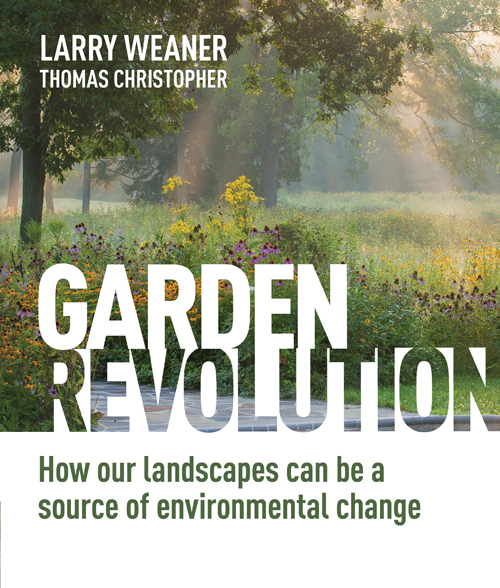 Larry’s book Garden Revolution: How Our Landscapes Can Be a Source of Environmental Change, co-authored with writer Tom Christopher, was released by Timber Press in May 2016. Visit the book’s page on Timber Press or check out the book on Amazon. Wondering what your availability/rate would be to talk to the Master Gardeners /Master Watershed Stewards of Bucks County, PA, on Wednesday night, December 6th at 7pm in Doylestown? We’d love to hear about the Garden Revolution . We’re a 30 minute ride from Glenside. Thank you! Thanks, Kathleen, for your inquiry. We’ve forwarded your inquiry along to Larry and he’ll follow up by email or by phone!